I really wanted to do something special for my 4 lovely bridesmaids to be, so I decided to make them each a personal little Bridesmaid Box full of goodies! They all started life as the boxes that my contact lenses had been delivered in. Luckily I keep all my boxes and I had just the right amount! I covered parts of them with brown paper, then I used my favourite medium to decorate the sides, nail varnish! 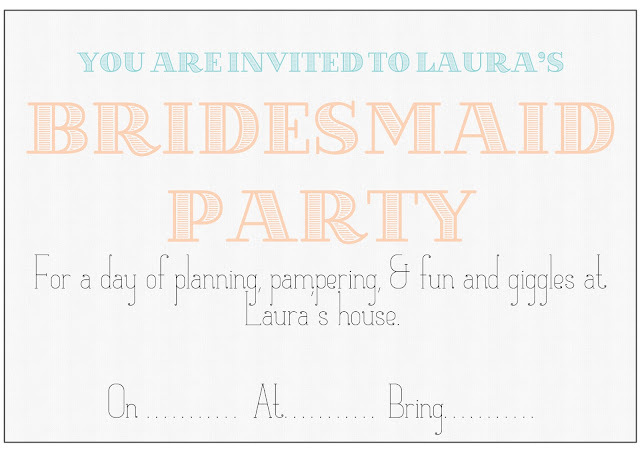 I wrote each bridesmaid's name out on the top in a pretty font, do you recognise it? Inside each box was a personalised note book, a matching pen, a packet of rainbow drops, a chocolate bar, a contact list, a soppy note written just for them and an invite to my bridesmaid party! I also made them each an Aztec button, which I thought that they could keep as a little memento. 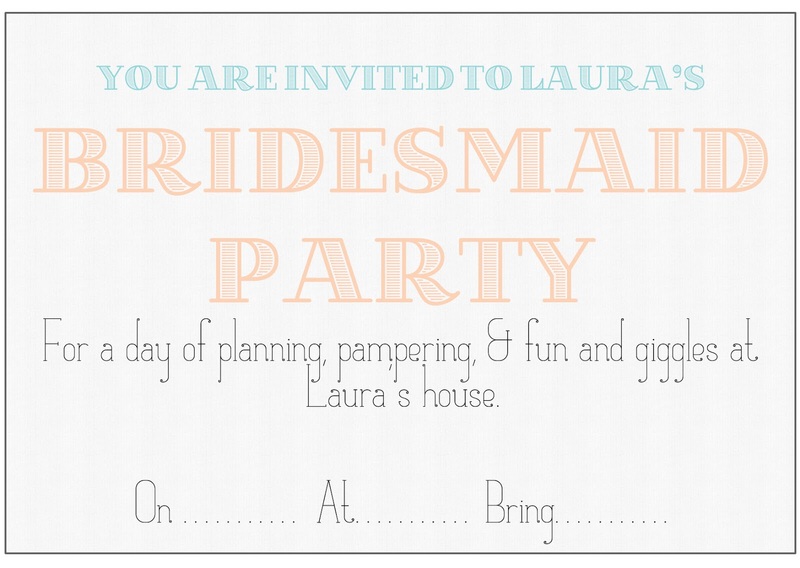 We are having the bridesmaid party on sunday and I am really looking forward to it. I thought it would be a chance for my 3 best friends to get to know Chris's sister a bit better and also to get them all involved in the planning of the day without it becoming a chore. I also think it is important to celebrate as much as possible, I really want to make the most of the next year and a half, and they will all be a big part of it I'm very lucky to have 3 best friends like them and a wonderful new sister in law to be! What did you or your friends do to celebrate leading up to your wedding? I'm always looking for inspiration! These turned out so pretty. I love how you reused your contact lens boxes. Reduce, reuse, recyle, ya know?!! This is the cutest idea! And so beautifully done!